To meet your dealership’s unique needs, each of DeskManager’s standard reports can be modified with up to 20 custom fields. Better yet, our Report Builder can generate forms entirely from scratch. To build a new form, search and select from more than 150 preset fields, or write your own as you go. You can categorize and title your form for quick retrieval later. 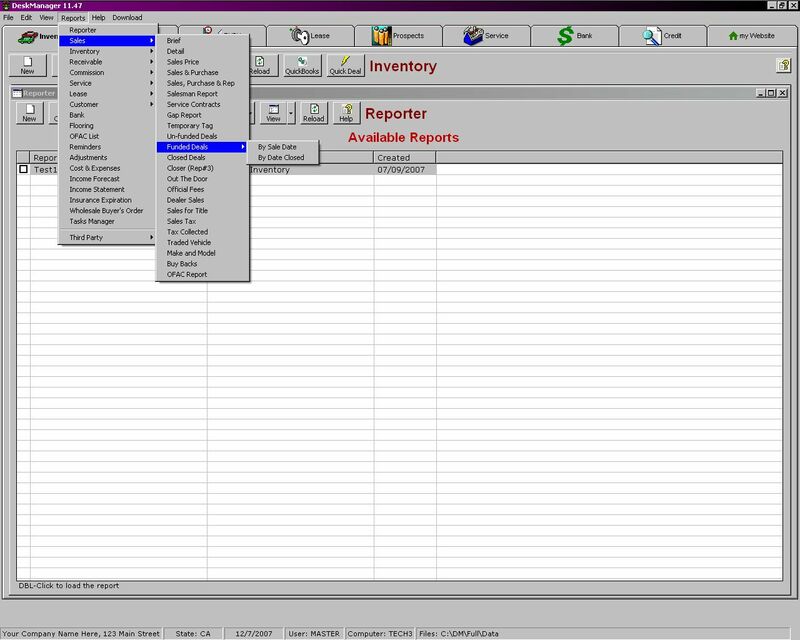 Hundreds of reports, including Open Accounts, Late Accounts, Sales History, Profit and Loss, Account Forecast, Income and Expense Banking are already built in to DeskManager. 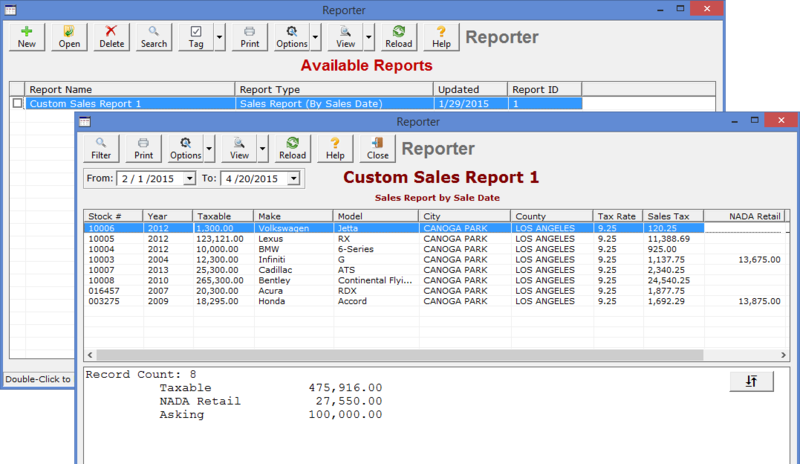 In your own reports, you can define sort order, groups, filter options, column order, totals to include, and summary. 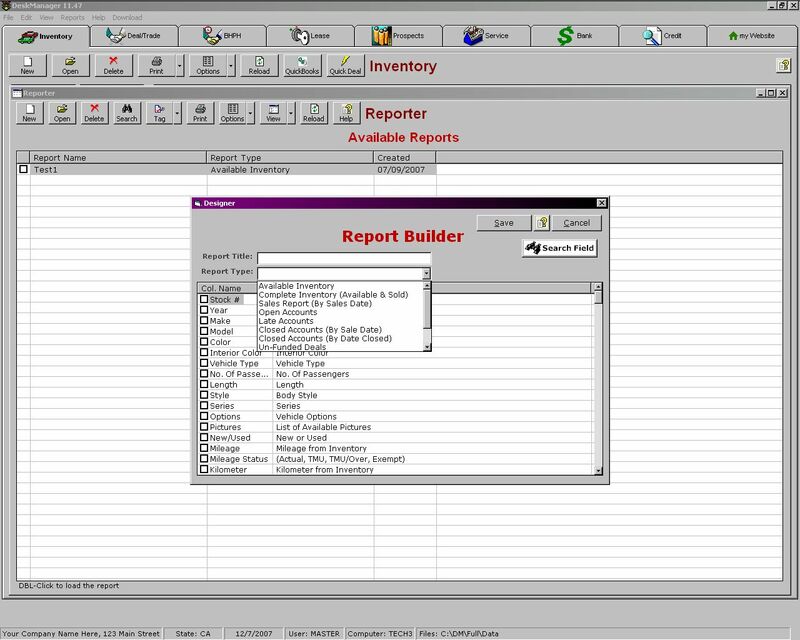 DeskManager has all the tools you need to craft clear reports that help you allocate your resources efficiently.